What is the calculation basis for my quote? The price of the translation is based on the word count of the source document. Additional services will be added to this cost, such as, for example, translatable words in images (if present), additional layout and post-editing tasks, terminology research tasks, etc. 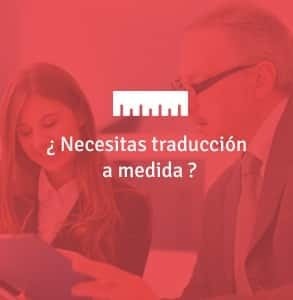 At ABZ ONLINE Traducción y Documentación we offer our clients 3 levels of service (ABZ Standard, ABZ Business and ABZ DIN) with prices that already include some of these tasks. Another determining factor in the cost of a translation is the language pair. For example, a translation into English is more economical than a translation into Swedish. How can I find out the word count of my document? If the document to be translated is a text document (for example, in MS Word), you can see the word count yourself in ‘Tools – Word Count’. However, if the texts are in another format (Frame Maker, Indesign, Power Point, Auto Cad, etc. ), you can send us the documents and we will carry out the word count in order to create the quote. What sorts of text can ABZ ONLINE translate? At ABZ Online we translate almost any sort of text, regardless of topic or difficulty. Consult our levels of customized service to find out which one would best suit your needs. Which formats can be translated by ABZ ONLINE? At ABZ ONLINE we work with almost every electronic format. We have specialized filters and software that allow us to extract text (and re-import it) from specific formats such as, for example, AutoCad. Thus you will save time and money in post-editing. Naturally we also translate the contents of websites and software applications (localization), always respecting tags. 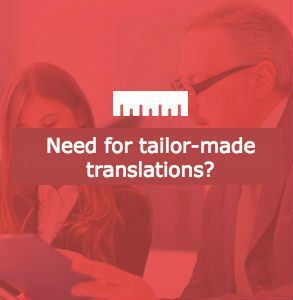 Lead times depend mainly on the number of words to be translated and the desired translation service level. Naturally we can also carry out urgent jobs and increase volume/day adding more translators to the project what we call Group Working in the cloud. When do I need to pay for my translation? Translation jobs must be paid for after receiving the translation. Unless otherwise agreed, invoices has to be paid within 30 days of the invoice date. For new clients, full payment will be required in advance (for jobs under 200 euros), or 50% (for jobs over 200 euros). What guarantees are offered by ABZ ONLINE? At ABZ ONLINE we have almost 20 years of experience as a translation provider. At ABZ ONLINE we work exclusively with licensed and experiences translators. At ABZ ONLINE we use the latest tools and technologies in the field for the management, translation and quality control of our projects. At ABZ ONLINE we conscientiously respect agreed delivery dates and translation quality (in this regard, consult our general sales conditions). At ABZ ONLINE we comply strictly with the Data Protection Law and the confidentiality of client information.